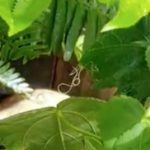 What is Long White Worm? One of our readers recently sent us a few pictures. 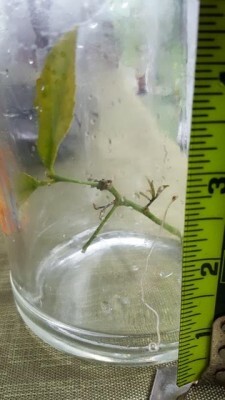 Two of the pictures show a long, thin, white worm in a jar. The other picture shows a thicker, more translucent worm. 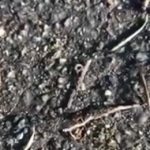 We believe this third photo is just a close-up of the same worm in the first two photographs, but we aren’t completely sure. 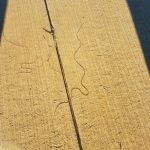 Our reader referred to another article we wrote about a long white worm that we thought might be a horsehair worm. 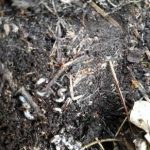 We aren’t sure if she was the reader who we responded to in that article, or if she simply read the article and discovered similar worm-like organisms. Regardless, we will do our best to analyze her photographs and provide some answers. As we mentioned before, we can see that the worm is long, white, and thin. Based on the measurement on the ruler, it is about 3 inches long, but it might be slightly longer when it is totally straight. 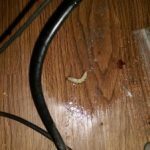 We originally believed that this was a horsehair worm. 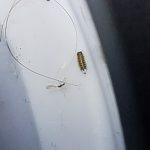 Horsehair worms develop as parasites in the bodies of arthropods, and then eject themselves into a body of water, killing their host in the process. Most horsehair worms are dark colored, but when they first eject themselves they can be white. 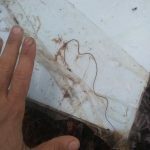 However, our reader is relatively sure that this is not a horsehair worm. These eggs are laid on plants, and are then eaten by herbivores feeding on the plants. Once the eggs are eaten, they hatch inside of their new host and develop inside the body cavity of the host, absorbing the hosts’ nutrients. So, similarly to horsehair worms, grasshopper nematodes are parasitic! Their most common hosts are grasshoppers, which is how they got their name. After several weeks, the nematode will exit the host and burrow into the soil to finish development. The process of the grasshopper nematode ejecting itself from the host will usually kill the host, but sometimes the host has already died. 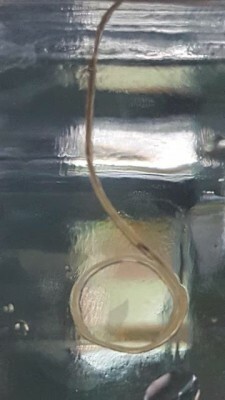 To wrap up, one of our readers sent us a photos of a long, thin worm in a jar. We believe that this is a grasshopper nematode. Thank you to our reader who helped us solve this mystery! 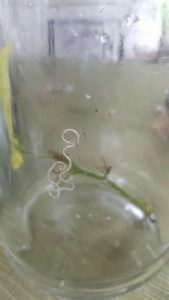 One of our readers sent us a photos of a long, thin worm in a jar. We believe that this is a grasshopper nematode. Thank you to our reader who helped us solve this mystery! 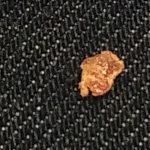 Bed Bugs Or Carpet Beetle Larvae?